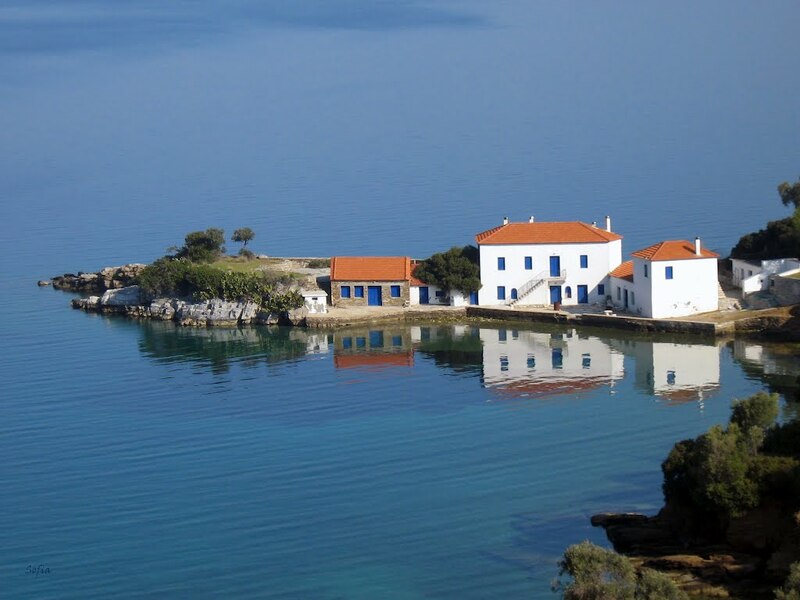 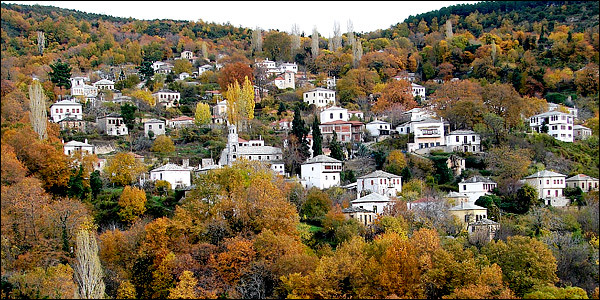 Mount Pelion forms a hook-like peninsula between the Pagasitic Gulf and the Aegean Sea. 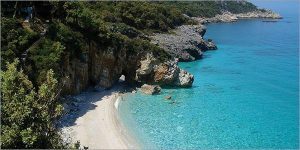 Almost entirely enclosed by land, the Pagasitic Gulf remains warm enough to swim in year-round. 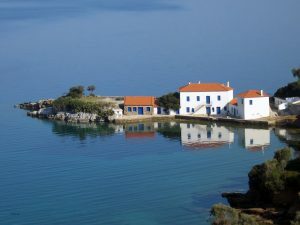 With a ski resort at the summit (at Chania) the locals boast that you can ski in the morning and swim in the afternoon. 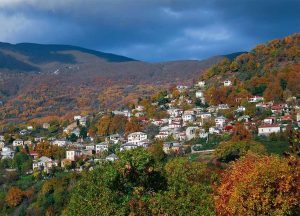 The mountains are entirely forested, with beech, oak, maple and chestnut trees. 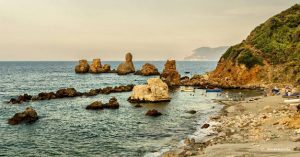 Pelion is a tourist attraction throughout the year: the mountain includes trails and sidewalks for walking within small and large beaches with sand or pebbles. 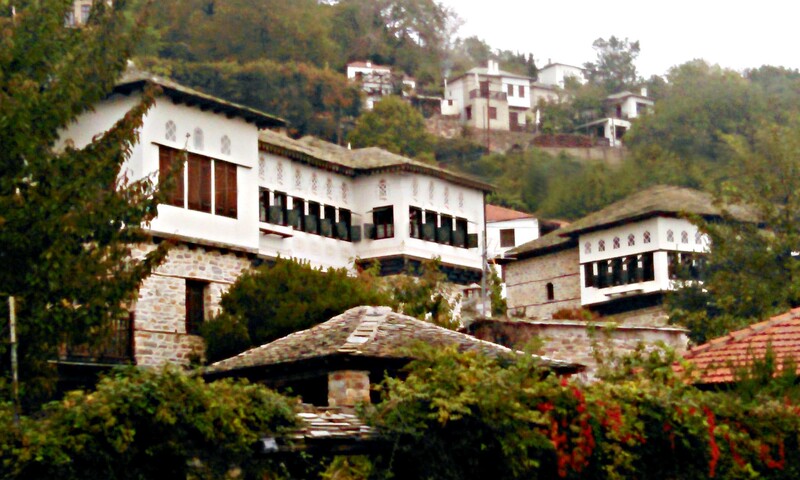 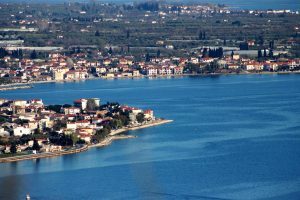 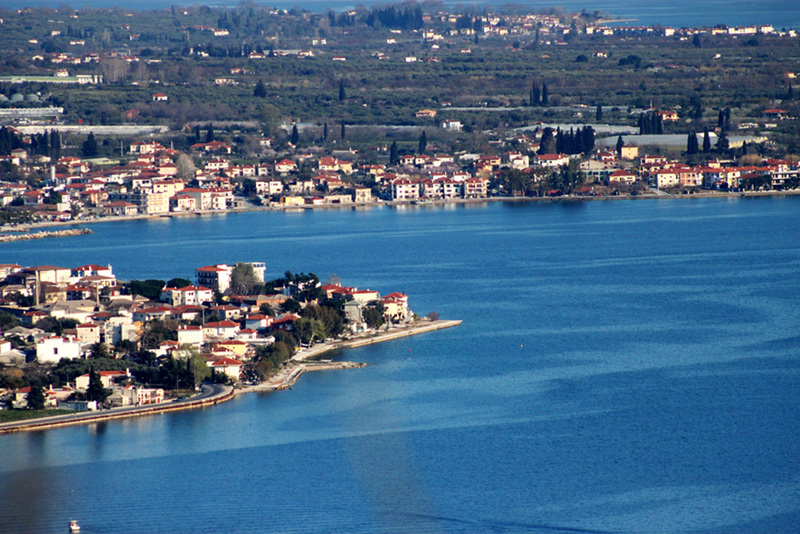 Modern Pelio has twenty-four villages built with traditional Pelian architecture. 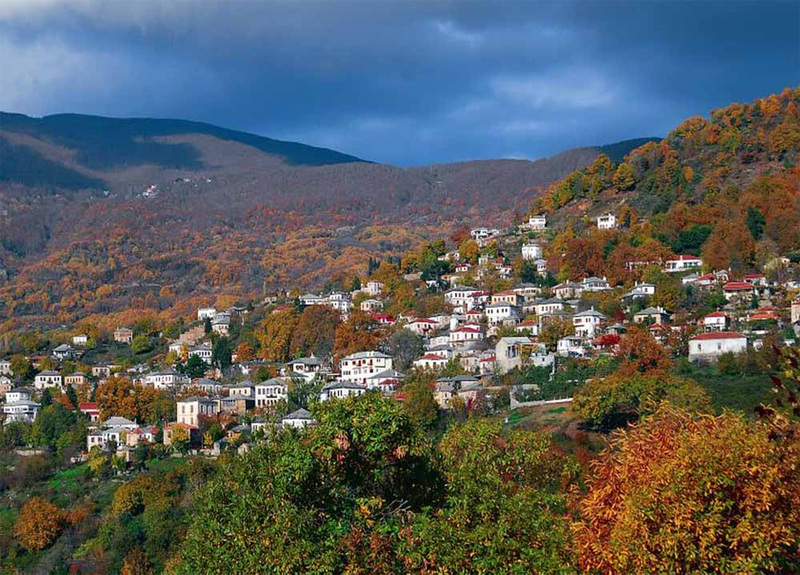 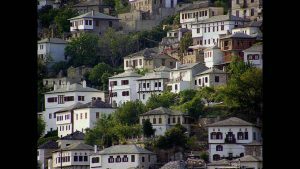 The mountain villages of the Pelion are well worth a visit. Built tucked away during the time that the coast was still unsafe from pirate raids, many of the mansions are heavily fortified, the doors that can be barricaded shut and musket holes covering the entrances. 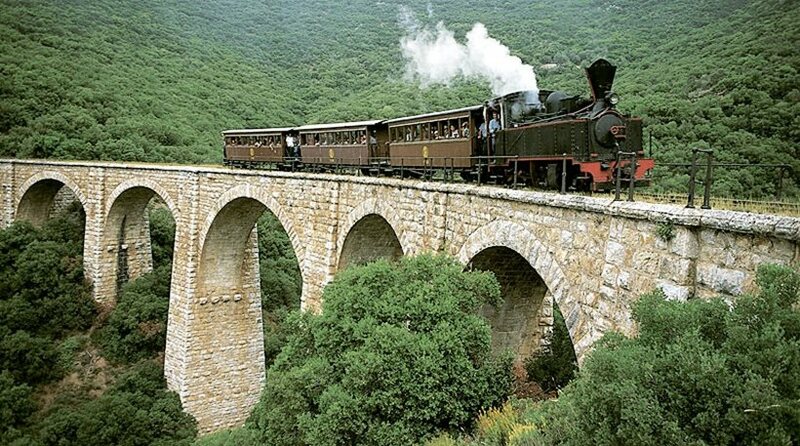 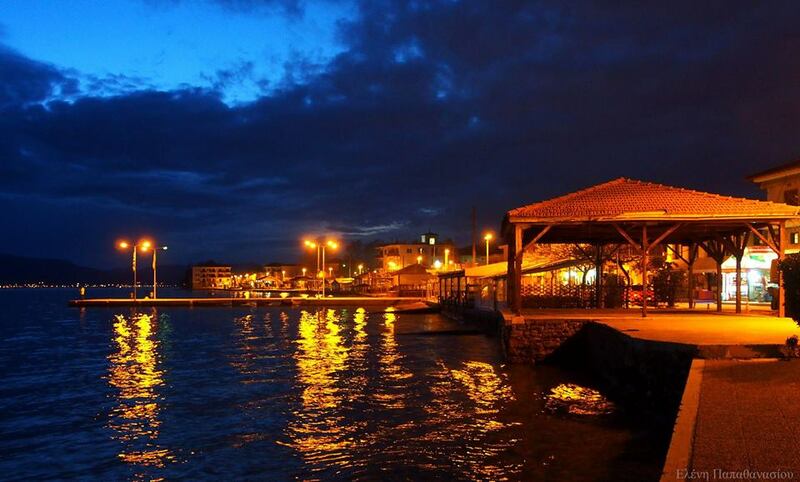 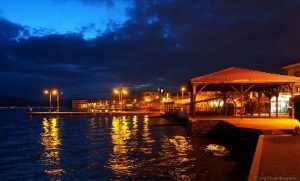 Located near the city of Volos, in the region of Thessaly.